There's less than two weeks to go until we get to take Grace to go swimming in the Pacific Ocean, squish her toes in the sand and pet a dolphin. And we can't wait! 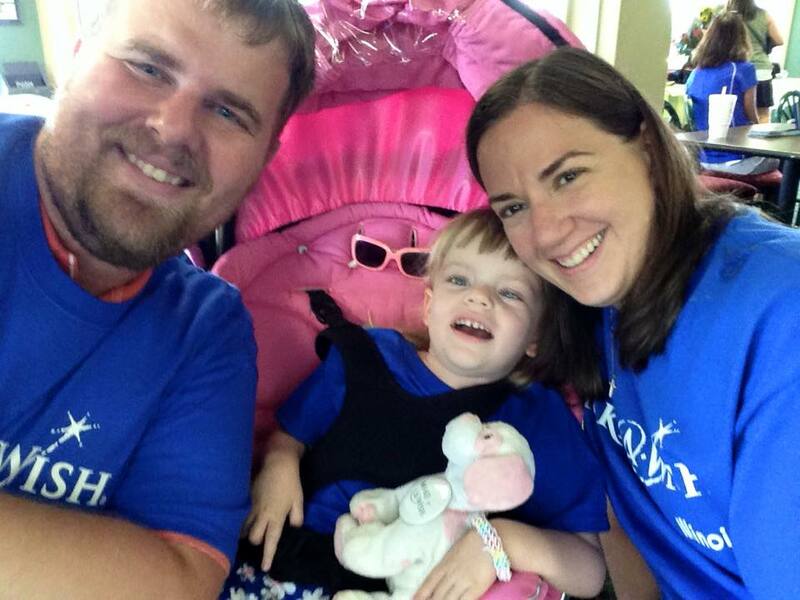 When we first got Grace's diagnosis, we vowed to give her every life experience that we could. 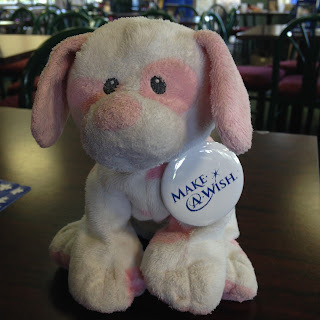 One of our first thoughts, was the Make a Wish organization. And it's been amazing. We are SO excited Make a Wish is granting a wish for Grace. From our very first meeting with the volunteers, we found out that the possibilities are nearly endless. 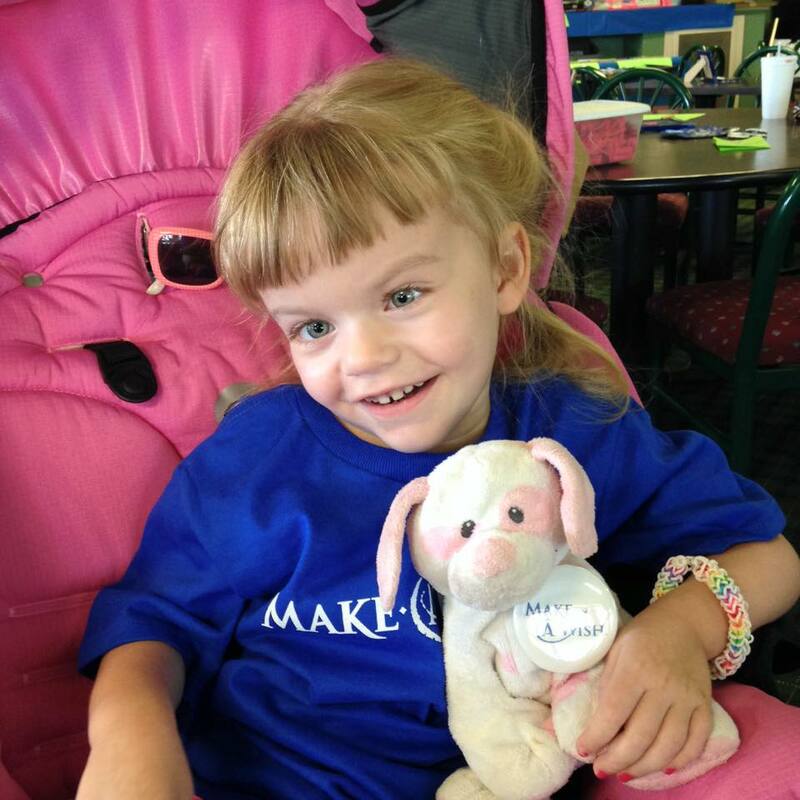 Make a Wish has taken kids on fantasy shopping sprees, redecorated bedrooms and provides trips to anywhere you can imagine. As we began to talk to the representatives, one mentioned the Disney resort, Aulani in Hawaii, and it seemed like a perfect fit. Grace would be able to see Mickey and Minnie, have a dolphin experience and just relax with us in paradise. But none of that would be possible without the Make a Wish organization, hundreds of volunteers and the generous people from all over the world that raise money to make kids wishes come true. We are very lucky that one local business works very hard all year long to raise money for Make a Wish. In fact, last year, McKay NAPA Auto Parts stores raised $41,000 for the organization. Grace was all smiles at the Make a Wish fundraiser. Several months ago, our friend, Earl Flack of McKay, called to see if we had heard about Make a Wish. He was so excited to hear about Grace's wish, and started telling us about the fundraisers they do to help grant kids' wishes. One of those is a golf outing, that was held on Friday at Rolling Hills Golf Course in Godfrey. Earl asked if we would be willing to share our story before the golfers took off on the tourney. And we were thrilled. We arrived bright and early, and had so much fun meeting some of the Make a Wish volunteers and talking to the golfers. Grace was giving out smiles to everyone. We got to share our story with another family, and hope it helped them reach their goal of $50,000 for the organization. Thanks to these dedicated volunteers, kids' wishes will come true for many years to come. We can't wait for Grace's wish to come true!